"We'll Always Have Casablanca" by Noah Isenberg. One of the most acclaimed Hollywood films was directed by a Hungarian man, starred a Swedish actress and an Austrian actor, and featured hundreds of foreign-born extras. Of the film’s 22 speaking roles, only three were filled by American-born actors, one of whom was Humphrey Bogart. 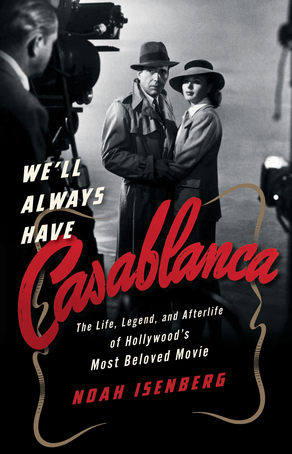 The film, Casablanca, is explored by Eugene Lang College faculty member Noah Isenberg in his new book We’ll Always Have Casablanca. Released on the 75th anniversary of the cinematic masterpiece, it offers an insightful look into the history of the film, including its impact on American audiences during World War Two, and the significance of employing immigrant actors. American audiences were able to see what exactly Europeans were fighting against, and by employing immigrants, the film was able to accurately reflect the background and histories of its characters. Isenberg has received significant acclaim for his new book, recently appearing on CBS Morning News to discuss it, while LA Weekly, The New York Times, and Slate have all covered the release. The themes of Casablanca still resonate strongly today, making We’ll Always Have Cabasblanca a timely exploration of the importance of film during troubling times.